Mon - Sat 9 a.m.-9 p.m., Sun 10 a.m.-6 p.m.
Holiday and winter hours are subject to change. Cabela’s is the World's Foremost Outfitter of hunting, fishing and outdoor gear. 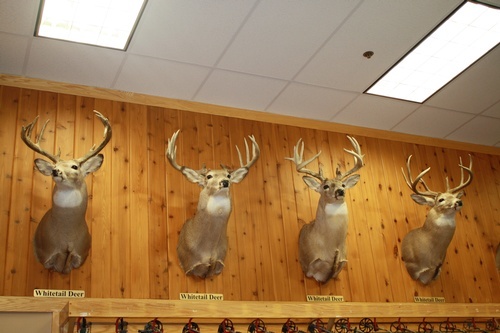 As much wildlife museums and education centers as retail stores, Cabela's showrooms provide a truly unique shopping experience. True destination stores, Cabela's showrooms offer outdoor enthusiasts and their family an educational and entertaining shopping experience. 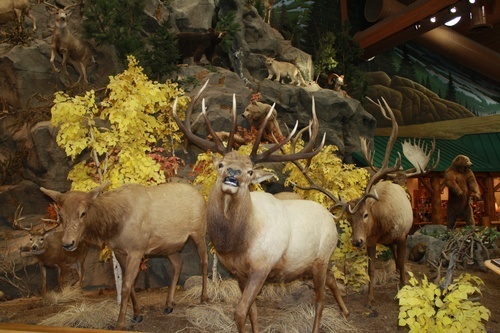 Cabela’s features museum-quality animal displays, huge aquariums, and trophy animals interacting in realistic recreations of their natural habitat. 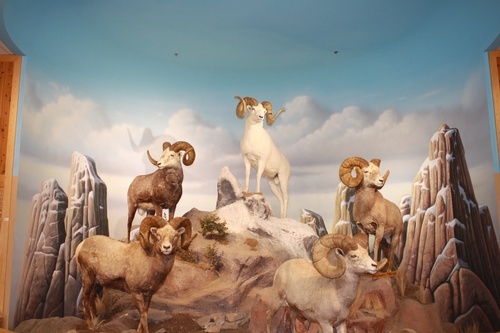 You will be greeted by a rotating pheasant diorama, then see the mountain dioramas complete with running stream, fish, bears, mountain goats, elk, and more. After you have had enough wildlife, check out the 10,000 gallon aquarium showcasing fish native to the Missouri River, which runs through South Dakota.